Removing barriers to communication can improve workplace productivity. Our ability to communicate is what essentially separates humans from animals, and our ability to coordinate group activities through communication is the driving force behind human civilization. By the same token, communication is essential in the modern workplace. Communication enables efficiency, and businesses where employees communicate effectively with each other tend to be happier workplaces and more profitable businesses. Understanding and removing barriers to communication can go a long way toward improving workplace productivity. Some environments are more conducive to communication than others. Open spaces are generally more conducive to full-spectrum communication. 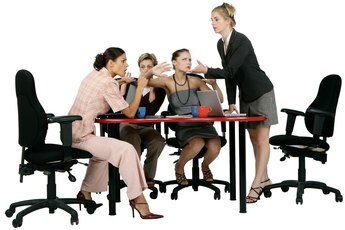 Cluttered rooms, or small, enclosed areas like cubicles or elevators are not ideal places for communication. One tip to improve workplace communication is to get away from your cubicle or office for any important conversations, even better if you can go somewhere without a phone or other distractions, so all parties to the conversation are relaxed and can concentrate on the conversation. Distractions are probably the number one impediment to communication. 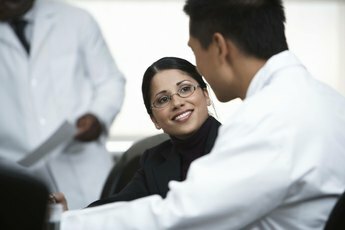 The human psyche is only designed to take so many sensory inputs, and if you are hungry and thinking about your upcoming presentation while vaguely hearing music leaking in from the cubicle next to you, it is pretty hard to focus on what your colleague is telling you about how her presentation went. Needless to say, disruptions like a telephone call or a knock on your office door are are significant barriers to effective communication. 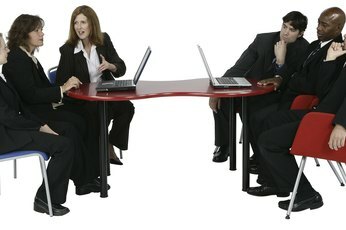 The relationship between the parties involved in a conversation has a major impact on the effectiveness of the communication. In a very real sense people hear what they want/expect to hear, and have a remarkable ability to "tune out" what they don't want/expect to hear. Fear can also interfere with communication between parties of unequal status. For example, a worker might not want to tell his boss that his project is falling behind for fear that he might lose his job. Communication is also likely to be impaired in a conversation between two employees who have had prior problems, as the emotions distract both parties from effective communication. Bureaucratic company cultures that require all communication to follow a chain of command restrict communication flows and hinder efficiency. Management philosophy that is too rigid or that has to filter down from above through many steps also hinders communication. An "open door" management philosophy, where supervisors are generally accessible to workers, and where communication flows both up and down the chain of command, leads to more buy-in from the rank and file and a happier and more productive workplace. Cezanne Software: Remove Your Workplace Communication Barriers: They Are Costing You More Than You Think!